Join us for an exclusive presentation by Kate Matsudaira from Velocity 2013 conference. Kate specializes in creating and operating large-scale web applications. Her focus has primarily rested on SaaS applications and big data. She has extensive experience building and managing high-performance teams, and considers herself a fan of agile development practices and the lean startup movement. She is currently founding her own startup, popforms, but has held roles as developer, project manager, product manager, and people manager at great companies including Amazon and Microsoft. The last seven years she has been a VP of Engineering/CTO for companies like SEOmoz, Decide, and prior to that Delve Networks (acquired by Limelight). Follow her blog to see her writings on tech and leadership. 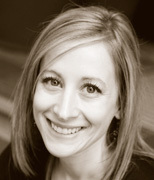 She is also the curator of the Technology and Leadership Newsletter (TLN), as well as a cofounder of Recruiting Hacks.